Crossing The Border Between Haves And Have-Nots NPR production assistant Theo Balcomb has been traveling a lot lately. First she spent a weekend in a New York mansion, then her work took her to Spartanburg, S.C. where the poverty rate is 11.1 percent. She has this reflection on traveling between two very different economic climates. 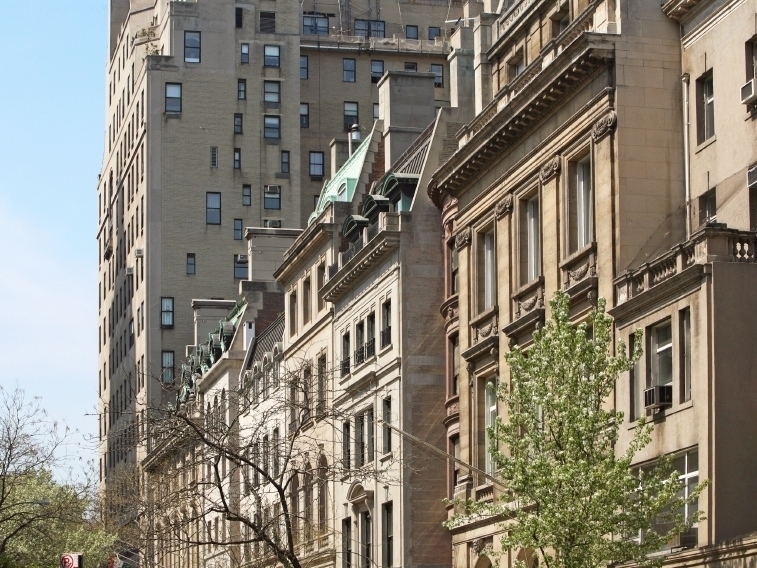 Elegant townhouses line the streets of the Upper East Side in New York City. Theo Balcomb is a production assistant at NPR's All Things Considered. Spartanburg, S.C., is a place I never thought I'd visit. But when you work for All Things Considered, you never quite know what strange adventure you'll embark on when you head to work. 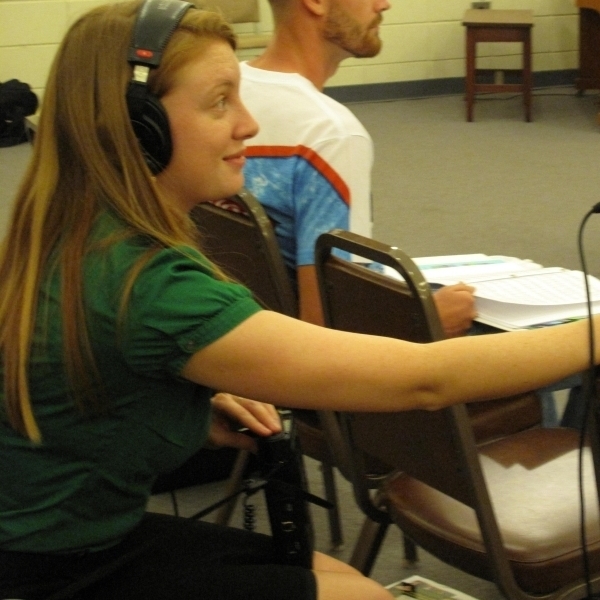 Last week, I went to Spartanburg to help produce some radio stories about the economy — that big, amorphous topic that we've been trying to cover in a way that makes things real and tangible. It's difficult when most of the information we're fed involves numbers and bleak proclamations from economists on scratchy phone lines. A few weekends earlier I had also traveled to a multimillion-dollar seven-story house in New York City (Manhattan, to be specific; Upper East Side to be both pompous and exact). And that weird dramatic change in landscapes made me think about these two completely different Americas we seem to be living in now. In the state of South Carolina, the unemployment rate is 11.1 percent. Sure, it's easy to read the number. But even after seeing the graphs and hearing so many NPR interviews, you still can't grasp the enormity of that statistic. After a while, you become numb and realize you're not getting the whole picture. I wasn't, either. In Spartanburg, I saw what it really means: 18-year-old kids, born in this country, struggling through English as a Second Language classes because they never learned to read; a middle-aged man who has just run out of unemployment benefits, trying to scrape together work to pay his electric bill. Then there was the diabetic pregnant woman who had to have half of her foot removed. She was on disability, struggling to sort through cereal and pork patties in her food pantry box. Or what about the woman we met who proclaimed she was living her dream, her fantasy life? That dream? Getting her GED at age 68, after the textile mill she'd worked at for 30 years closed. Another woman in the same GED class dropped out of high school when she had a baby at age 16. She's 27 now, and she told us about the grocery store where she works, where, recently, she's seen more and more people load up a red plastic basket and walk straight out the door with it. She told us about a family who tried to steal medicine from the pharmacy section. She confronted them and they begged her: It was for their baby, they said. The woman felt so terrible for them, she eventually paid for the medicine herself. Theo Balcomb gathers sound for a story in Spartanburg, S.C. When you see that, it's hard to understand the family living in that Upper East Side seven-story house. I didn't grow up in a house like that. I grew up on my family's small dairy farm in rural Maine. And I did experience some semblance of life in the city at Barnard College. But spending four years there did nothing to prepare me for my two days spent in a mansion in the city: A house — decidedly not an apartment, with seven floors, a wine cellar and a rooftop deck. A house where my biggest concern was not getting winded as I carried a bottle of wine, a corkscrew and a cheese plate up to the roof — to the perfectly lit deck with cushy armchairs and multiple candles in appropriately sized vases. And that's what's confusing: That America is a place where these two worlds can coexist, often without knowledge of each other. One where a pregnant woman has to wait in line for frozen pork patties, and one where I'm in New York being offered goat cheese and fig spread and crisp gluten-free crackers and low-fat string cheese. The contrast has always been there, but it's looking stark right about now. The 27-year-old woman working in the grocery store lit up when she had this thought: Those people in Washington, those people with all the money who make all the decisions, they should have to live a week in our shoes. It could be a new reality show, she said brightly. Just a week. Just a week in our shoes. Then she chuckled to herself. OK, she admitted, maybe not even a week. Maybe just three days.